Pharma shippers are likely to continue to try to move away from their reliance on airfreight but will also be looking towards back office outsourcing solutions to handle more of their supply chain operations. From the industry perspective discussed at the Temperature Controlled Logistics event in London, pharmacompany Teva’s senior director, logistics Europe, Val Petursson, mentioned that he viewed using air freight, rather than less expensive sea freight, as a wrong decision in most cases. Petursson mentioned that, “air freight was usually used in pharmaceutical supply chains because of internal issues, such as low demand forecasting accuracy, problems with manufacturing or poor contracts with manufacturers. “This is where we can do much, much better if we want to benchmark ourselves against other industries, such as high-tech and automotive. “We are paying millions and millions and millions just because we are too slow or lazy or misaligned,” he added. However, he said that in certain cases there will always be a need to harness airfreight. “I definitely believe that there are segments in our industry that need and should be using airfreight, there is no question about it. “For instance for inventory reasons, if your pallet costs $4M, you probably will not ship more than two or three pallets of that anyway. “But I think in general, that airfreight is making a lot of money on other people’s mistakes and I think we can relatively quickly move away from that situation,” Petursson stated. Other shippers at the event also cited that, besides high value small quantity shipments, airfreight also had a place for products with a short shelf life and for the first batch of new products. 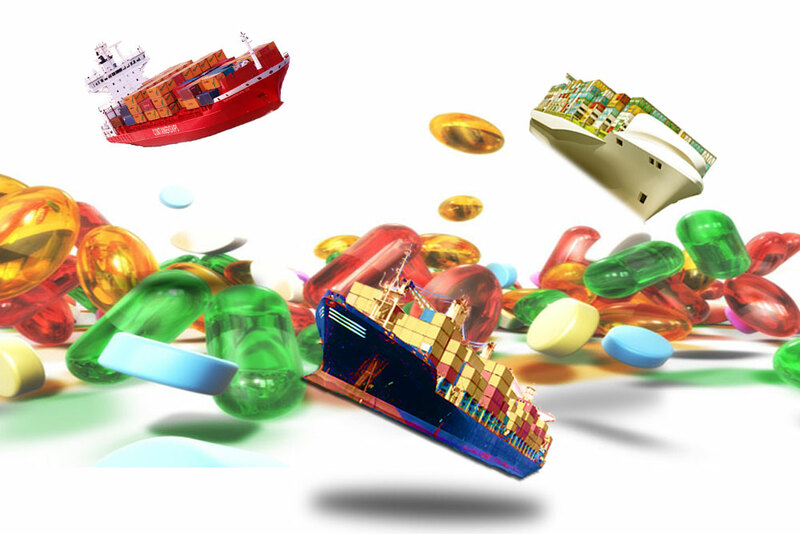 Petursson is not the first pharma shipper to suggest that the industry should make a shift from airfreight to seafreight. Petursson was speaking as part of a wider presentation on how much of the pharmaceutical industry, especially huge global names, needed to switch from a transactional approach to supply chains, where a short term and price focused approach is adopted, to a more strategic approach to help create efficiencies. At a later talk, MSD Associate Director of supply chain management Ruud van der Geer stressed on the need to adopt a more strategic approach to supply chains, which would lead to an increase in offshoring of these activities. “We see a positive trend in trusting our partners more than we did in the past, where big pharma companies would want to have control over the end-to-end supply chain. “We are not at the level where we feel we can outsource everything, but there is definitely a trend in outsourcing the logistics aspects,” he said. Van der Geer also said that while there was an initial cost to outsourcing, supply chain companies were able to consolidate volumes to create efficiencies. And, they could also offer a more standardized service across the whole supply chain, instead of having different locations each running in-house logistics operations in a non-standard way. Another trend he saw emerging from these developments will be an increase in the use of monitoring and data. According to Van der Geer, MSD moved to 100% monitoring of all of their shipments, including room temperature products, all of which come with a huge amount of data. “We are now building on managing the data, learning from the data and we are seeing tools being developed to do that in a quicker fashion allowing us to react quicker than we did in the past,” he concluded.